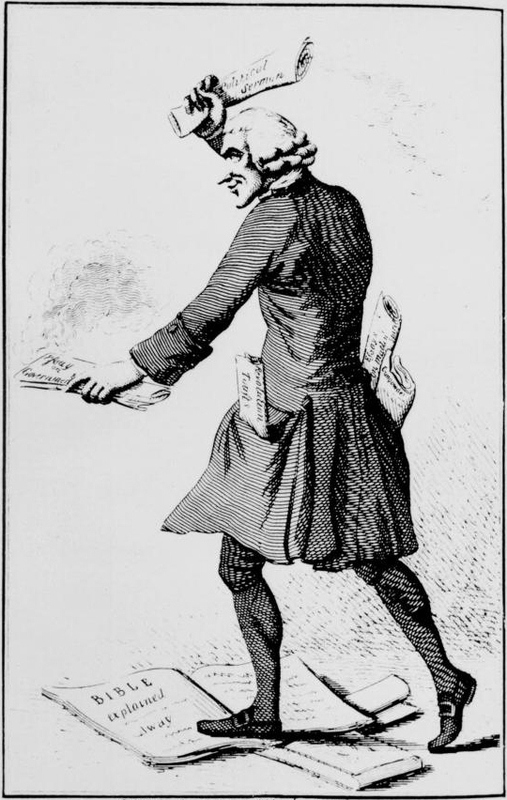 Meditating about ideas taking a wrong turn (there are a lot of wrong turns around), I was reminded of the eighteenth-century saga of phlogiston – or the spirit of fire. It was a concept that held sway in scientific circles for many years, before it was found to be wrong. Not fruitfully wrong, stimulating fresh research and new developments. Just simply erroneous – in intellectual terms, a wrong turning. There may be similarly erroneous ideas around in science today: superstring theories in theoretical physics,1 for example, or ‘dark matter’ in astro-physics (let alone ‘dark energy’ and/or ‘dark electromagnetism’).2 Such big concepts are intriguing ‘fillers’, often triggering intense debates. They fill a gap in knowledge, where there is perceived to be a problem but, as yet, no research-based solution with an accompanying explanatory theory. Sometimes such ideas are later empirically substantiated. Equally, however, sometimes not. However, chemical theories and practice changed fundamentally after 1778. The French chemist Antoine-Laurent de Lavoisier (1743-94) not only identified and named ‘oxygen’ but also showed its key role as an oxidizer during combustion. 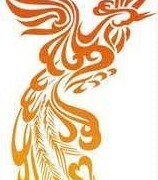 There was no spirit of fire waiting to be released into the cosmos. References to phlogiston still lingered but were increasingly sidelined. Quietly, the entire theory behind the concept was dropped.6 Lavoisier also identified and named hydrogen (1783).7 The study of chemistry was advanced onto a new footing, aided by the increasingly international pooling of research. Henceforth ‘Air’ was not just air; and ‘Fire’ was not just fire. Now phlogiston is known in the scientific lexicon as a category error. It commanded belief for a surprising amount of time, despite research doubts. But the concept did not lead to any interesting intellectual outcomes. It held sway and then quietly vanished. Three morals for later generations. Firstly, there is often a hidden romantic idea (like the spirit of fire) or a cosmic vision behind apparently coldly rationalistic scientific concepts. Secondly, theories, even if very widely and genuinely accepted, remain no more than theories, until they are tested and confirmed empirically. Big organising ideas may become adopted because they are plausible or useful or powerful or attractive. Yet they don’t become world beaters, until they are verified. Thirdly and lastly, wrong turnings make for easy walking, until they suddenly don’t. Maybe that last proposition applies not only in the realm of ideas but in today’s politics too. 1 Compare B.R. Greene, The Elegant Universe: Superstrings, Hidden Dimensions, Theory, and the Quest for the Ultimate Theory (1999); and L. Smolin, The Trouble with Physics: The Rise of String Theory, the Fall of a Science, and What Comes Next (Boston, 2006). 2 R.H. Sanders, The Dark Matter Problem: A Historical Perspective (Cambridge, 2010). 3 J.H. White, The History of Phlogiston Theory (1932). 4 For Daniel Rutherford (1749-1819), see wikipedia.org/wiki/Daniel_Rutherford. 5 For Joseph Priestley (1733-1804), see R.E. Schofield, The Enlightenment of Dr Priestley: A Study of his Life and Work from 1733-73 (Philadelphia, 1997); idem, The Enlightened of Dr Priestley: A Study of his Life and Work from 1773-1804 (Philadelphia, 2004). 6 J.B. Conant (ed. ), The Overthrow of the Phlogiston Theory: The Chemical Revolution of 1775-89 (Harvard, Mass., 1950). 7 F.L. Holmes, Antoine Lavoisier – The Next Crucial Year: Or, the Sources of his Quantitative Method in Chemistry (Princeton, 1998); J. Jackson, A World on Fire: A Heretic, an Aristocrat and the Race to Discover Oxygen (New York, 2005). History as a subject is far, far too important to become a political football. It teaches about conflict as well as compromise; but that’s not the same as being turned into a source of conflict in its own right. Direct intervention by individual politicians in framing the History syllabus is actively dangerous. 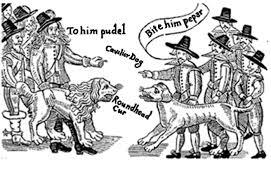 Rival supporters of King and Parliament in the 1640s civil wars, berating their opponents as ‘Roundhead curs’ and ‘Cavalier dogs’: the civil wars should certainly appear in the Schools History syllabus but they don’t provide a model for how the syllabus should be devised. There are several different issues at stake. For a start, many people believe that the Schools curriculum, or prescriptive framework, currently allots too little time to the study of History. There should be more classes per week. And the subject should be compulsory to the age of sixteen.1 Those changes would in themselves greatly enhance children’s historical knowledge, reducing their recourse to a mixture of prevalent myths and cheerful ignorance. A second issue relates to the balance of topics within the current History syllabus, which specifies the course contents. I personally do favour some constructive changes. There is a good case for greater attention to long-term narrative frameworks,2 alongside high-quality in-depth studies. But the point here is: who should actually write the detailed syllabus? Not individual historians and, above all, not individual politicians. However well-intentioned such power-brokers may or may not be, writing the Schools History syllabus should be ultra-vires: beyond their legal and political competence. The need for wide consultation would seem obvious; and such a process was indeed launched. However, things have just moved into new territory. It is reported that Education Secretary has unilaterally aborted the public discussions. Instead, the final version of the Schools History syllabus, revealed on 7 February 2013, bears little relation to previous drafts and discussions.3 It has appeared out of the (political) blue. Either the current Education Secretary acted alone, or perhaps had some unnamed advisers, working behind the scenes. Where is the accountability in this mode of procedure? Even some initial supporters of syllabus revision have expressed their dismay and alarm. Imagine what Conservative MPs would have said in 2002 if David Blunkett (to take the best known of Blair’s over-many Education Ministers) had not only inserted the teaching of Civics into the Schools curriculum as a separate subject;4 but had written the Civics syllabus as well. Or if Blunkett had chosen to rewrite the History syllabus at the same time? An arbitrary determination of the Schools History syllabus further seems to imply that the subject not only can but ought to be moulded by political fiat. Such an approach puts knowledge itself onto a slippery slope. ‘Fixing’ subjects by political will (plus the backing of the state) leads to intellectual atrophy. 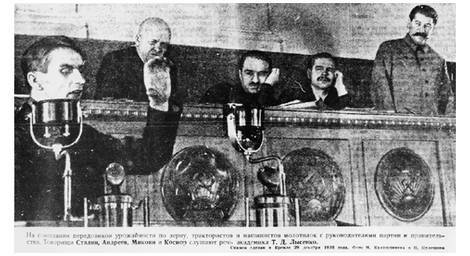 To take a notoriously extreme example, Soviet biology was frozen for at least two generations by Stalin’s doctrinaire endorsement of Lysenko’s environmental genetics.7 A dramatic rise in agrarian productivity was promised, without the need for fertilisers (or more scientific research). Stalin was delighted. Down with the egg-heads and their slow research. Lysenko’s critics were dismissed or imprisoned. But Lysenkoism did not work. And, after unduly long delays, his pseudo-science was finally discredited. In this case, the Education Secretary is seeking to improve schoolchildren’s minds rather than to improve crop yields. But declaring the ‘right’ answer from the centre is no way to achieve enlightenment. Without the support of the ‘little platoons’ (to borrow another key phrase from Burke), the proposed changes may well prove counter-productive in the class-room. Many teachers, who have to teach the syllabus, are already alienated. And, given that History as a subject lends itself to debate and disagreement, pupils will often learn different lessons from those intended. 1 That viewpoint was supported in my monthly BLOG no.23 ‘Why do Politicians Undervalue History in Schools’ (Oct. 2012): see www.penelopejcorfield.co.uk. 2 I proposed a long-span course on ‘The Peopling of Britain’ in History Today, 62/11 (Nov. 2012), pp. 52-3. 4 For the relationships of History and Civics, see my monthly BLOG no.24 ‘History as the Staple of a Civic Education’, www.penelopejcorfield.co.uk. 5 Michael Gove speech to 2008 Conservative Party Annual Conference, as reported in en.wikipedia.org/wiki/Michael_Gove, consulted 3 April 2013. 6 Quotation from Edmund Burke (1729-97), Second Speech on Conciliation with America (1775). For further context, see D. O’Keeffe, Edmund Burke (2010); I. Kramnick, The Rage of Edmund Burke: Portrait of an Ambivalent Conservative (New York, 1977); and F. O’Gorman (ed. ), British Conservatism: Conservative Thought from Burke to Thatcher (1986). 7 Z. Medvedev, The Rise and Fall of T.D. Lysenko (New York, 1969). 8 Albert Einstein (1879-1955), in Essays Presented to Leo Baeck on the Occasion of his Eightieth Birthday (1954), p. 26. The quotation is sometimes (but wrongly) web-attributed to Edmund Burke’s critique of Jacobin arrogance in his Preface to Brissot’s Address to his Constituents (1794). https://www.penelopejcorfield.com/wp-content/uploads/2014/08/Penelope-J-Corfield.png 0 0 Penelope J Corfield https://www.penelopejcorfield.com/wp-content/uploads/2014/08/Penelope-J-Corfield.png Penelope J Corfield2013-04-01 12:00:212018-06-01 18:42:46MONTHLY BLOG 29, SHOULD EACH SECRETARY OF STATE FOR EDUCATION REWRITE THE UK SCHOOLS HISTORY SYLLABUS? If post-seminar questions are less memorable that the papers or lectures which precede them, then the answers tend to be even less anecdotable. I can think of only a handful, among thousands of intellectual encounters, which remain in my memory. Nevertheless, answers in an academic setting (as in a political one) need to meet certain criteria. They can enhance a good presentation. And wrongly handled, answers can backfire and, at worst, they can ruin an apparently successful paper or lecture by failing to rebut a fundamental criticism. Hence the overwhelming rule is to reply rather than to evade the question. Nothing is more annoying to an audience when it detects that the presenter is intellectually absconding. If the speaker can’t immediately answer (it happens to us all), the best reply is: ‘That’s a great question. I don’t know the answer off-hand; but I will check it out and get back to you’. On rare occasions, it is acceptable to prevaricate. Queen Elizabeth I was once in a political quandary. In response to the strong advice of a parliamentary deputation in 1586 that she execute her close relative and fellow monarch, Mary Queen of Scots, Elizabeth equivocated by giving them what she herself honestly termed as an ‘answer, answerless’. In other words, she would not say.2 Yet very few scholars find themselves walking the same sort of political highwire upon which Elizabeth I walked coolly for years. Academic waffle is thus best avoided. I have done it myself but always felt suitably remorseful afterwards. The academic cut-and-thrust is instead predicated upon an open exchange of views and, if need be, a frank confession of an inability to answer immediately, rather than a fudge-and-mudge. But, while too much evasive verbiage can be disappointing, too much brevity can prove equally annoying. 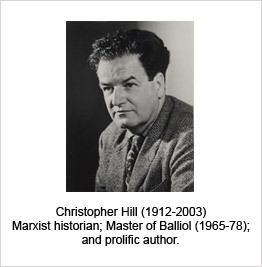 One terse response that I can remember came from Balliol’s Christopher Hill. It was in a series of interviews with senior historians,3 in which some staple questions had been supplied by the organisers. As the interviewer, I was allowed to improvise but also requested to cover the basics. Accordingly I asked politely: ‘Would you like to explain your methodology?’ It was a relevant question, since Hill had been sternly criticised in 1975 by his fellow historian J.H. Hexter for the alleged sin of being a ‘lumper’. Even more damagingly, Hexter accused Hill being seriously unprofessional by quoting selectively from the sources, to support his big argument.4 ‘Lumpers’, by the way, lump everything together to form one big picture, while ‘splitters’ (of whom Hexter was a pre-eminent example) demur and say: ‘No, hang on – things are really much more complicated than that’. Nonetheless, when invited to comment, Christopher Hill replied, gruffly: ‘No’. Like many of his generation, he bristled at the very word ‘methodology’. I laughed and continued to the next question, which was a mistake on my part. I should have changed the wording and tried again. In the event, the unsatisfactory exchange was cut from the final version of the interview. Not that there was any doubt that Christopher Hill was a ‘lumper’. Many (though probably not most) historians are. Yet Hill did not accept that he distorted or read sources selectively. In my view, it would have been best for him to restate a firm rebuttal of Hexter. But Hill would probably have responded, not ‘who cares?’ (he did), but ‘read my books and judge for yourselves’. Single-word replies, of the ilk of ‘Yes’ and ‘No’, should thus be avoided as a general rule. They generate an initial laugh, especially when following an over-long and tedious question. Yet single-word replies are not playing fair with the questioner or the audience. They appear to give but don’t really. It is ok to start with a single brisk word, on the other hand, provided that the speaker then justifies that verdict. So … not too short but also … not too lengthy. In my experience (and it’s a fault that I share) most answers are too long. It’s tempting to give a reprise of the paper or lecture. But that’s a mistake. A crisp reply: to the point, and nothing more, is best. Also gives time for more questions. Three specific tips for respondents. When first listening to a question, it can be difficult to grasp the real point and simultaneously to formulate a good answer. The best way to cope is to start with a ‘holding’ reply: such as ‘That’s an interesting question’ or ‘I’m glad that you raised that point’. During the brief postponement, it’s amazing how often a reply formulates itself in one’s mind. But it’s best to use many variants of such ‘holding’ replies. It sounds too saccharine if every question is welcomed with the same apparent rapture. Incidentally, the reverse also sounds false. A former MP of Battersea was prone to start every reply with ‘I welcome your criticism’ even if none was offered. It eventually became something of a joke, which was counter-productive. A second tip is to have a sheet of paper discreetly to hand and always to jot down a short note, summarising the topic that’s been raised. Having that reminder is especially useful in the event of two-pronged questions. When answering one half of a query, it’s too easy to forget about the other half. A short note concentrates the mind. In the long run, too, awareness of the points raised is personally invaluable. A free consultation with experts. Soon after every public presentation, I turn the list into a personal debriefing, noting all points that need clearer explication next time; and especially noting all criticisms of my main argument, so that I can decide how to refute them next time (or, sometimes, to amend my own case). Which brings me to the third and most important piece of advice. It’s fine to give way graciously to challenges on all sorts of points, especially if one is in the wrong. Yet if the critique is focused upon the absolute core of one’s argument, it is essential to stand fast. I once heard the historian Lawrence Stone, another well-known ‘lumper’, confront a fundamental criticism of his latest publication.5 He began frankly: ‘Oh, dear, I think I’ve been holed below the water-line’. Then, with a cheerful laugh (shared with the audience), he rallied, with words to the effect that: ‘Your evidence/argument, although important, does not invalidate my central case’. Stone then, on the hoof, thought through his response to the fundamental (and valid) criticism, without rancour or any sign of being flustered. It was a sparkling moment. Sometimes, there is not one single ‘right’ answer; but a there is a right process of debate. That’s the aim. And it’s nice to win the argument as well. Which means keeping on one’s toes intellectually. Having given the presentation, don’t relax too soon. Keep replies crisp and pertinent. And, basically, enjoy the dialectic. Out of reasoned argument comes … knowledge. 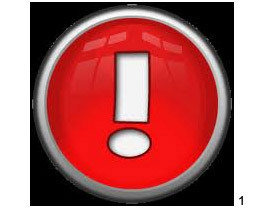 1 From Icon Archive, at www.icongal.com: downloaded 22 February 2013. 3 ‘Christopher Hill with Penelope Corfield’ (1986), in series DVD Video Interviews with Historians, available from London University’s online store: www.store.london.ac.uk. 4 J.H. Hexter, ‘The Historical Method of Christopher Hill’, Times Literary Supplement, 25 Oct. 1975, repr. in J.H. Hexter, On Historians: Reappraisals of Some of the Makers of Modern History (1979), pp. 227-51; with riposte by C. Hill, ‘The Burden of Proof’, in Times Literary Supplement, 7 Nov. 1975, p. 1333. 5 See Lawrence Stone (1919-1999) and J.C.F. Stone, An Open Elite? England, 1540-1880 (1984); and alternative view in S.E. Whyman, ‘Land and Trade Revisited: The Case of John Verney, London Merchant and Baronet, 1660-1720’, London Journal, 22 (1997), pp. 16-32. What? what? what? Always good to ask questions. Not always easy to manage a good one. In the debates following the thousands of public lectures and seminar papers that I’ve heard, a few examples stand out. One was simplicity itself. It caught out a senior figure on a point of detail that refuted her argument – which she should have known but didn’t (or had forgotten). The question took five words: ‘What about the Quebec Act?’ Under this legislation (1774) Britain allowed freedom of worship to the French-speaking Quebec Catholics and enabled them to swear allegiance to the British crown without reference to Protestantism. It was a major factor in preventing the potentially rebellious province from joining the American colonial revolt. This flexibility ran contrary to the speaker’s stress upon the immovable Protestantism of eighteenth-century British state policy. There were various possible replies, such as: it was the exception to prove the rule. But she fell silent and the chair took the next question. Since then, I often think, when listening to a lecture: Is there a Quebec Act equivalent knock-down? Often there isn’t. But, if there is, it should always be done with great simplicity. Another was a question that I asked after a public lecture (not necessarily the best; simply one that I remember). In fact, interventions from the floor are much more forgettable than the preceding oration, which is one reason not to worry too much about what to ask. In this case, a polemical speaker had castigated all historians who used anachronistic terms instead of sticking exclusively to the language of the relevant past period. Then, oblivious of his own strictures, he defined the eighteenth-century European states (including Britain) as ancien regimes. But – whether ‘ancien’ be translated as ‘old’ or ‘former’ – this descriptive term is clearly retrospective. From the floor, I argued that the historians’ art entails not only studying past societies but also communicating their findings about the past in the language of a later day. So yes to linguistic care and attention to definitions; but no to linguistic obscurantism and a quest for the impossible. Otherwise historians of pre-Conquest England would have to delete all words derived from Norman French; historians of the pre-speech era would have to grunt; and so forth. In the light of his own retrospective terminology, would the speaker like to reconsider his criticisms of others? He replied; but, it was generally agreed, not convincingly. Those two examples reveal two possible approaches to asking questions: either working from prior knowledge; or generating a debating point from the content of the talk. Both approaches are equally valid. The point of asking questions is constructive: to probe the case that has been presented and to extend the collective discussion. A good debate helps speakers by giving them a free consultancy, allowing them to refine their arguments before bursting into print. And ditto: good discussions help listeners to stretch their minds; to learn how to joust intellectually; and to contribute to the advancement of knowledge. Obviously enough, beginners giving their first paper should be treated comparatively gently, but not to the extent of allowing serious errors to pass unchallenged. And senior performers should be given the compliment of a bracing set of questions, which they will expect. 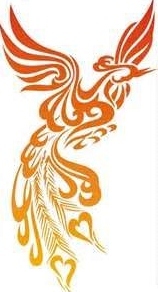 Most enquiries start from a wholesome quest for further information or clarification. What did you mean by statement A? How do you define concept B? Did you also check source C? … How good is the evidence for X? Can that proposition not be tested against Y? And what are the implications of Z? All of those approaches are useful. Another substantial range of questions focus upon the speakers’ methods of classification, selection, or organisation of research material. Challenges are especially required if the criteria have not been well explained in the presentation. Social classification systems, in particular, always benefit from debate, whether focusing upon class; ethnicity; nationality; or any other special identities. One phenomenon that is often under-studied is the extent of intermarriage between ostensibly different groups: ask about that. Meanwhile, a minority of questions, which are often the best, take the form of a conceptual or philosophical depth-charge or counter-argument. Listen to the general argument and think: could the reverse or something very different be the case instead? That may mean playing devil’s advocate. But, intellectually, ‘opposition is true friendship’, to quote William Blake.1 Above all, it’s good to listen closely to the speakers, in order to identify their often-buried fundamental assumptions – and then challenge those. It’s rare that such interventions fail to stimulate. Sometimes speakers are surprised; sometimes indignant; but they are generally gratified to have been listened to with serious attention. My former supervisor, Jack Fisher, the economic history guru of LSE, was famed for provocative depth-charges, which he signalled with the opening words: ‘I know nothing about this but …’. However, his formula is best used sparingly. I have heard others bodge the same tactic, leading audiences to wonder why such a self-declared ignoramus is wasting everyone’s time with fatuous questions. Given the above range of possibilities, postgraduate students should be encouraged to start with short, punchy wholesome-quests-for-information. In that way, they get used to the invariable stir of people turning round to look at the questioner, which can be disconcerting for beginners. Then, in time, students should progress to making longer enquiries and eventually to offering counter-arguments. My own system also requires that, after the first term at a new seminar, postgraduates ask at least one question per term, rising to a specified larger number as they move through their four years of study. That instruction sounds a bit mechanical. But it’s actually easier to ask a question when one has determined beforehand to do so. Otherwise, a lot of time is spent dithering: shall I, shan’t I? Yes, go for it. Coda: I’ll end with a personal anecdote on heckling. It’s not something that I often do. But once I heckled, unintentionally, and found that I had posed a great question or, rather, prompted a great response. It happened in the early 1970s, at a public debate in the University of London’s Beveridge Hall, with perhaps two hundred dons in attendance. Two eminent historians, Keith Thomas and Hugh Trevor-Roper, had jousted fiercely in print about seventeenth-century witchcraft. They were invited to a special debate to continue the argument. But face-to-face, as often happens, the antagonists were very polite to each other. The occasion as a whole proved to be a damp squib. There was, however, a moment of excitement. One of the speakers, referred rather contemptuously to ‘useless old women’ and, without intending to do so, I found that I had cried out ‘Shame!’ Everyone around me recoiled. The speakers said nothing. But the chair of the meeting, the historian Joel Hurstfield, responded with aplomb: ‘Madam, contain your just indignation!’ His old-fashioned courtesy effectively rebuked my uncouthness. Yet he upheld my complaint, accepting that the tone of the debate had been too dismissive of the women accused of witchcraft. Immediately, the people around me smiled with relief and reversed their physical recoil. The debate was resumed, and I don’t suppose anyone else remembers the exchange. Nonetheless, I have waited ever since (both in politics and as an academic) for someone to heckle when I’m in the chair, to see if I can respond as brilliantly. 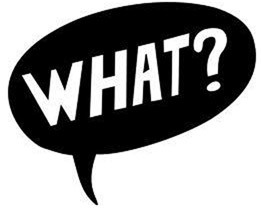 It hasn’t happened yet; but maybe one day … In the meantime, let there be questions: what? what? what? 1 From William Blake, The Marriage of Heaven and Hell (1793), fol. 20. Apart from the routine lectures that form the bread-and-butter of an academic’s job, we constantly give special lectures and/or papers. These presentations are made to a miscellany of research seminars, public meetings, specialist societies, academic conferences and other outlets, at home and overseas. From the early 1970s onwards my private log tells me that I’ve given almost 300 of these extra performances. At the same time, I am a seasoned listener to presentations from fellow academics. During my career, I must have heard many thousands. Trained by my incisive supervisor to have a critical response up my sleeve, I decided early on always to ask a question. Which I do – almost invariably, provided that the event allows for audience participation. Preparing a range of potential questions, from a dolly to an underwater torpedo, keeps the mind focused. It’s not hard to respond to a good paper. But what’s the best way to critique a dull or weak or off-beam interpretation, without being rude or dismissive? It’s a good challenge. Over time, the standard of papers and lectures has undoubtedly risen. People are more professional and time-keeping is much more reliable. There are things that still could get better. Talking from notes (but not reciting a list of points on a screen) is much more engaging for the audience than reading aloud from a prepared script. 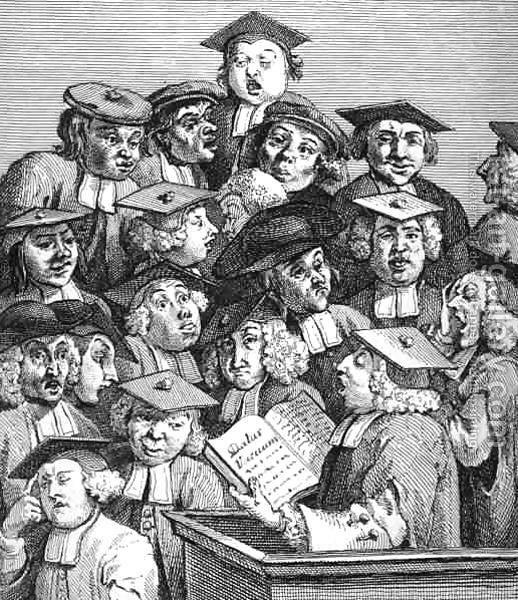 William Hogarth long ago indicated how boring a droned lecture-from-text can be. On the other hand, it can be hard for beginner-historians to manage without a script. They generally have to convey a great deal of factual information and quotations, which have to be accurate. So there is scope for progression. I usually recommend starting with full scripts but then, with greater experience, expanding the amount of free-speaking. Ultimately, however, it’s not the style of an exposition but the content that counts. The two worst presentations were similar in format and outcome. Both were intended sincerely, by speakers who were so entranced by their material that they had lost sight of the need to explain it. A second dreadful session was of the same ilk. A famously combative professor of the fifteenth-century English economy offered a seminar paper on ‘Continuity in History’. The title was one that I found especially attractive, since I love macro-sweep. Obviously others agreed, because crowds assembled. Tony Bridbury’s paper, however, consisted of a close exposition of the fifteenth-century history of the Paston family, buttressed by readings from the well-known Paston Letters.2 There were no new insights. We were supposed to understand that family life and the small concerns of daily existence are universal preoccupations. Even that point, however, was not stated explicitly. Nor was there any conclusion, other than a gleeful: ‘You see? Nothing changes’. The following discussion spluttered briefly but got nowhere. Was there anything that the seminar chairs could have done to retrieve these situations? Perhaps they might have organised rival groups from the audience, to argue the respective cases for and against the core propositions. That manoeuvre would have been possible in an established class, where the course director has more control over the format. In a seminar, with a changing attendance from session to session, it would have been more tricky. But worth a try. Certainly more positive than the disgruntlement that actually prevailed. Needless to say, the seminar/lecture norm has always been much better than either of those examples. And I have heard many very good and some completely outstanding presentations. How to pick one from the pack? My choice is a master-exposition by the historian E.P. Thompson. His first degree was actually in English at Cambridge. 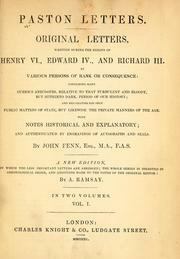 On this occasion, he regaled an adult education conference in Preston with a lecture which combined the English-literary technique of close-reading with a historian’s detective work and attention to context. It showcased Thompson’s distinctive style at its very best. E.P. 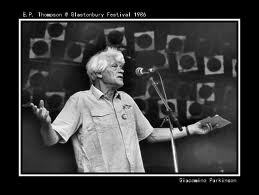 Thompson at Glastonbury Festival 1986, by Giacomino Parkinson,from www.glastonburyfestivals.co.uk. 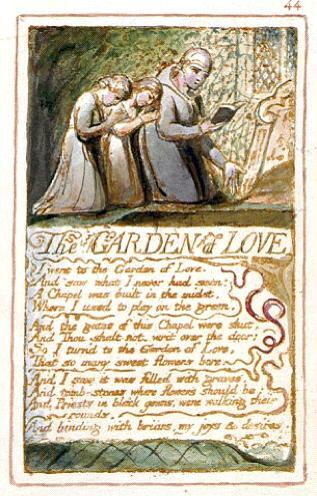 In Preston, the lecture began with his quiet reading of a poem by William Blake: ‘The Garden of Love’ from The Songs of Experience.3 Thompson then launched into his analysis, entirely without notes. At the end, he recited the poem again, with added emphasis. The result was startling. In the second reading, all the meanings and allusions within the poem sprang intensely to life. It was like stepping from a monochrome world into a world of vivid colour. 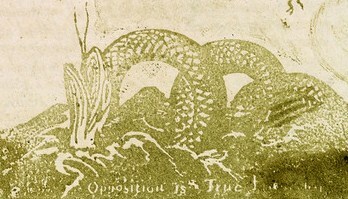 Whether his general exposition of Blake was sustainable remained to be tested when, later, Thompson published his Witness against the Beast: William Blake and the Moral Law.4 But, as a single lecture, it was exemplary in its entirely original mixture of literary detail and historical breadth. The thirty-odd people who had assembled on a cold November afternoon in the mid-1980s for a routine local-history conference were challenged in true Blakeian style ‘to see the world in a grain of sand’. It was an inspiration that revealed what a great lecture can do. 1 This session, chaired by John Dinwiddy, occurred in the later 1970s. Subsequently Ian Christie (1919-98) amplified his study of the ‘intellectual repulse of revolution’ in his Ford Lectures, published as I.R. Christie, Stress and Stability: Reflections on the British Avoidance of Revolution (Oxford, 1984). 2 This session, chaired by F.J. Fisher, occurred in the early 1970s. In other contexts, A.R. Bridbury (1924- ) was happy to detect change: see variously his Economic Growth: England in the Later Middle Ages (1962; reissued Brighton, 1975); The English Economy from Bede to the Reformation (Woodbridge, 1992); and his Medieval England: Its Social and Economic Origins and Development (Leicester, 2008). 3 W. Blake, ‘The Garden of Love’’, from his Songs of Experience (1794). 4 E.P. Thompson (1924-93), Witness against the Beast: William Blake and the Moral Law (Cambridge, 1993). For more on EPT and bibliographic references, see my earlier Blog/14, dated Dec. 2011.